Previous article Heading to Las Vegas? Casino Parking Will No Longer Be Free. In the age of apps, these six apps will score you free comps, WiFi and more in Las Vegas. They say what happens in Vegas, stays in Vegas…but let’s be real. You know you’ll be documenting every second of your wild trip! From Facebook to Instagram, SnapChat and more, your smartphone will be attached to you closer than an ID at a hotel pool party. Between the usual social media apps, make sure to keep room for additional apps that will make your trip go from great to legendary. These apps will help you score free comps, split cash with friends, find deals, and always have free WiFi at your fingertips! 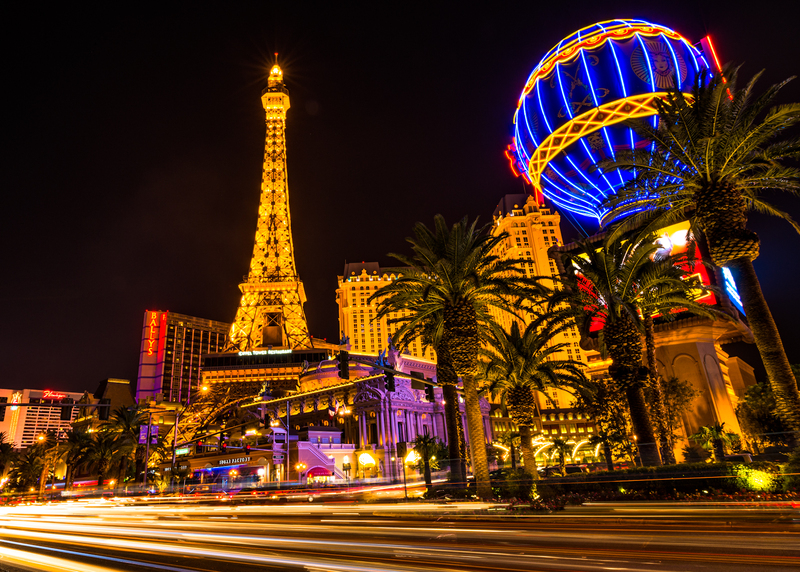 Here are the six best apps you absolutely need for your next Vegas trip. Keep Reading: These six personal item bags help you avoid paying for carry-on and checked luggage for your Vegas flight! Created by MGM Grand Resorts, MyVegas is a pair of apps for Facebook, iPhone, and Android where you can play blackjack or slot machines with free virtual cash to earn real-life rewards. 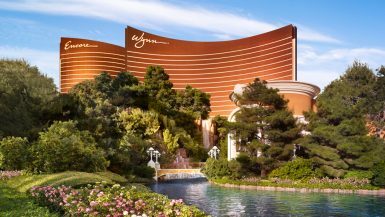 The rewards you can cash in for include free airfare to Vegas, free hotel rooms at MGM properties, show tickets, and more. MGM Grand created the game to motivate vacationers to stay, gamble and eat at their properties, and this game has been extremely successful in doing so. As you play their free games, you can trade in your points for up to three rewards you can use per month. 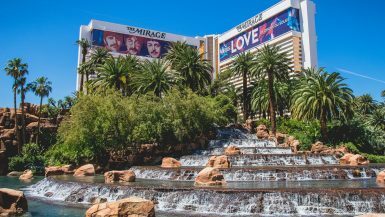 My personal favorite is the free hotel room stay at The Mirage, but make sure to read the fine print, as all free hotel room stays require that guests still pay the daily resort fee. 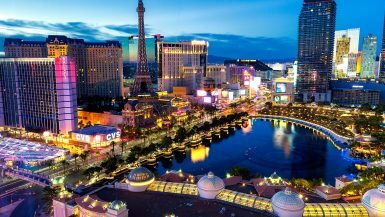 If you’re heading to Vegas in the immediate future, just a few minutes of playing can be traded in for discounted hotel rooms, free monorail passes, drink deals and more. If you have a little more time to play, complimentary room nights start at just 15,000 points for Excalibur, and go up to 67,000 for Mandalay Bay. For reference, it took me about 10 hours of playing to reach my first free room reward, although playing time varies. Tip: You earn the most loyalty points if you play MyVegas on Facebook, and the least if you play on Android. According to their FAQ, it has to do with rules on each App Store for how they handle giveaways. If you have an Android phone, consider playing on your Facebook as well for optimal loyalty points! Read more about scoring free Vegas comps through MyVegas HERE. 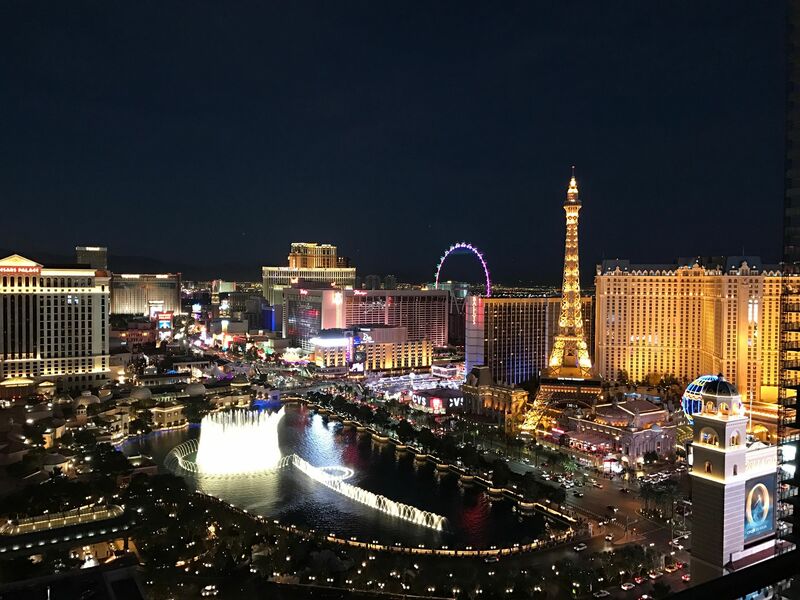 Whether you want to add an additional night in Vegas to your itinerary, or still haven’t figured out where you’re sleeping, Hotel Tonight is a great app for last-minute vacationers. 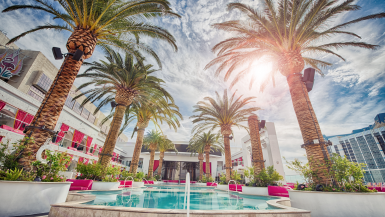 This free app tracks hotel specials up to seven nights in advance at the top hotels in Vegas, allowing you to browse through available luxury properties with available rooms—many of which cost under $100 a night! Some hotels we consistently see on this app include The Cromwell, The Cosmopolitan, MGM Grand, and Flamingo. A bonus to using this app is while it’s a third party, we’ve consistently seen this app offer LOWER prices than booking direct. Even better, Hotel Tonight frequently runs promotions where you can save up to $25 off your first booking with them, allowing you to save even more! Traveling with friends? Use your app to refer friends, and you’ll both save an additional $25.00 for hotel rooms $100+ Don’t have a friend that uses Hotel Tonight yet? No worries, you can use my promo code MEROGERS5 to save $25 off your first booking! Ideal for groups, Square Cash allows you to instantly transfer money to other app users. Great for when your group wants to split a cab, pay a bar tab or go out for a meal on the Strip, simply enter at least $1 and tap Pay or Request. You can send an optional note, such as “Round #1 at Omnia” and then tap Pay or Request at the top-right corner to send to your recipient(s). Unlike Paypal and other cash-transfer apps, Square Cash makes the transfer immediately, even better, you’ll score $5 in your bank account instantly once you make your first transfer, and will receive an additional $5 for every referral you get to download the app and send at least $1 through the app. Deal-saving sites like Groupon and LivingSocial can be your new best friend on vacation! 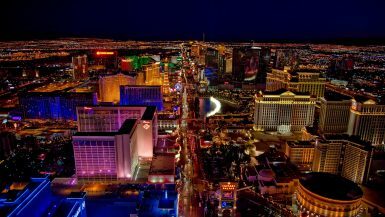 Great for finding deals on “Food & Drinks,” “Things To Do” and more, you’ll almost always see club-crawl parties, buffet discounts and even specials for the High Roller available! Purchasing deals takes only a few seconds, and most Groupons and LivingSocial deals can be scanned straight from your smartphone, so there’s no need to print our your deals. Already in Vegas? View the Local section to see hot deals that are available nearby. Not only will you see how far away each deal is from you, but you can narrow down your results for where you want to go. These can be great for nightlife deals, sightseeing offers and more! Head into any Vegas casino, and you’ll see ridiculous ATM surcharges on all the machines. Save yourself some money and download AllPoint. This app displays all surcharge free ATM’s around you at any given time, allowing you to easily get the cash out you need without paying $3-$100 in fees. Off record, remember you can also get cash out at all of the Walgreens and CVS’s on the Strip with purchase! Buy yourself a beer for $1.00 and withdraw up to $100.00 per transaction—no fees! Vegas resorts can charge up to $35.00 a day for WiFi. Save your cash, and download the WiFi map. WiFi Map is amazing, as it will not only direct you to the nearest Wi-Fi spot, but it’ll tell you where it is and even offers passwords to some of the protected networks as well! Great for finding the nearest Starbucks when you have a work deadline, or getting that online class discussion turned in on time, this is a great way to get around those pesky in-room charges! Keep reading: An insider’s guide to scoring $19 Vegas flights consistently. Looks like I found your post too late – definitely could have used AllPoint. 🙂 That said – I did manage to find and download MyVegas which we found quite useful during our stay. Thanks for sharing. I’m not so fond of ‘fun’-places like Vegas, but if I ever should go there, these apps will certainly be very helpful. We have used the My Vegas app frequently and we have been able to get a lot of perks from it. WiFi Map looks helpful since I would be unwilling to pay so much for Wi-Fi access at a resort. These are some great apps, I’ve never heard of most of them. I think when you really embrace technology it can really enhance your travel experience. We wish we knew about these apps before our trip last year. so glad, you chose to post this & let the travelers know about these apps. so useful. thanks for sharing. Solid tips, but personally, been to Vegas too many times already for various trade shows in a former life as a trade journalist for the outdoor, bike and fitness industries, so have NO desire to return. 😉 Other then Red Rocks outside the city boundaries, Vegas holds no draw. And the other way to twist the popular phrase is “what happens in Vegas never happened.” Hah!